Dometic Marine Air Conditioner Parts	There are 117 products. We carry the complete line of Dometic marine air conditioner parts & accessories. Feel free to call us 1 (800) 766-5256, email us info@citimarine.com, or chat with us for anything not found on our site. We know the line very well. 20% Off with discount code "20ac" in the checkout, and Free US Shipping! Dometic SMX II Keypad Display Original / Direct from Dometic (SMX II AB). For Dometic, Cruisair and Marine Air Self-Contained & Direct Expansion units. 90-day warranty*. Available with black cover (select below). Save $56.00 with Code "20ac" + Free US Shipping! 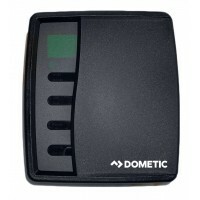 DOMETIC SMX II BB Keypad Original / Direct from Dometic. For Tempered Water / Marine chiller units. 90-day warranty*. 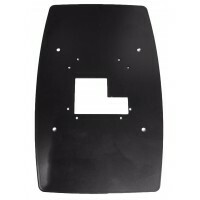 Select black cover plate or no cover (below). Save $55.00 with Code "20ac" + Free US Shipping! 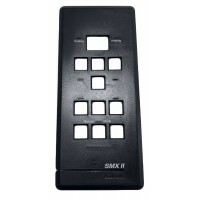 NEW SMX II Keypad Cover Plate, Snap-on (Black or White). For Dometic and Crusair line SMX II AB Display. 90-day warranty*. Questions? Contact us. MFG #: 5101401 (Black) 51014501 (White) Save $11.00 with Code "20ac" + Free US Shipping! SMXir Display, 3/4 Door, in Black. Control for Dometic & Cruisair's Self-Contained and Split A/C (aka DX or direct expansion) systems. *Remote control available; sold separately. 90-day warranty*. MFG #: SMXIRB . Save $60.00 with Code "20ac" + Free US Shipping! 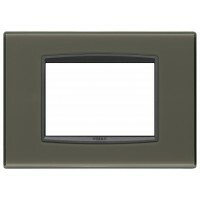 Dometic SMXir Display, 3/4 Door, in Black. Control for Dometic & Cruisair's Tempered Water (TW) / Marine Chiller Systems. *Remote control available; sold separately. 90-day warranty*. MFG #:SMXIRB-T Save $61.00 with Code "20ac" + Free US Shipping! NEW Remote control for Cruisair SMXir Display - Self-Contained and Split A/C (aka DX or direct expansion) systems. 90-day warranty*. MFG#: SMXIR-REM. Save $20.00 with Code "20ac" + Free US Shipping! Wall Mounting Plate to go from 2/3 Knob control to new Dometic/Cuisair SMXir Display. Comes in black color. 90-day warranty*.Part Number: 5103612 Save $6.60 with Code "20ac" + Free US Shipping! 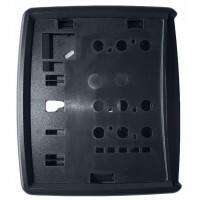 Mounting Plate for Dometic/Cuisair SMXir Display. Comes in black color. 90-day warranty*.Part Number: 5103200 Save $5.60 with Code "20ac" + Free US Shipping! 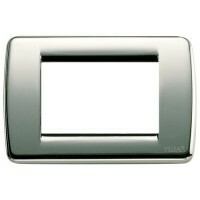 NEW Bezel Vimar Poly EIKON graphite Gray for Smart Touch & Elite Displays / Controls cover. 90-day warranty*. MFG: 336562. Save $5.60 with Code "20ac" + Free US Shipping! 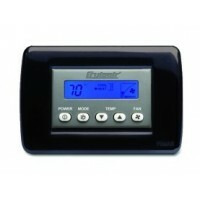 Dometic - Marine Air Elite II Display Control - Display Only. Easy to use with raised buttons and scroll button for mode selection. 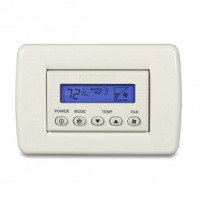 Cool-only, heat-only, dehumidify and automatic mode. 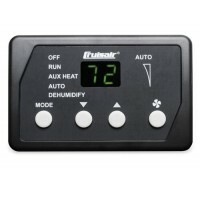 Automatic humidity control reduces moisture when the boat is unattended. 90-day warranty*. Works with Dometic/Marine Air 8-Pin Cable (Click Here to buy), Bezel Sold Separately (Click here to buy) Save $55.00 with Code "20ac" + Free US Shipping! SMXht Display in gray. Control for Cruisair & Dometic's Self-Contained and Split A/C (aka DX or direct expansion) systems. Black Vimar bezel shown here (sold separately). 90-day warranty*.Item No Longer Available, Replaced by Part Number: 722200010 (Programming from CW to DX must be done) Click here to view MFG#: 722200000 Save $54.00 with Code "20ac" + Free US Shipping! NEW SMXht keypad / display in white. Control for Dometic & Cruisair's Self-Contained and Split A/C (aka DX or direct expansion) systems. 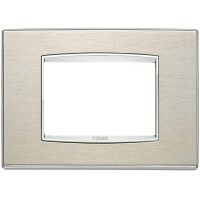 White Vimar bezel shown here (sold separately). 90-day warranty*.MFG#: 722200020. For the SMXht in Dark Gray/Black, see here: SMXht DisplayItem No Longer Available, Replaced by Part Number: 722200030 (Programming from CW to DX must be done) Click here to view Save $54.00 with Code "20ac" + Free US Shipping! 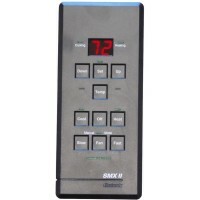 NEW SMXht keypad / display in gray. Control for Dometic & Cruisair's Tempered Water (TW) / Marine Chiller Systems. Black Vimar bezel shown here (sold separately). 90-day warranty*. MFG#: 722200010 Save $55.00 with Code "20ac" + Free US Shipping! NEW SMXht keypad / display in white. Control for Dometic & Cruisair's Tempered Water (TW) / Marine Chiller Systems. Black Vimar bezel shown here (sold separately). 90-day warranty*. MFG #: 722200030 Save $53.00 with Code "20ac" + Free US Shipping! 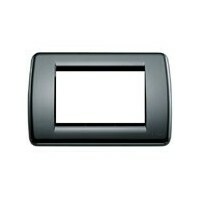 NEW Bezel Vimar Poly Black, cover for Cruisair SMXht Displays / Controls. 90-day warranty*. MFG: 335441. Save $4.00 with Code "20ac" + Free US Shipping! 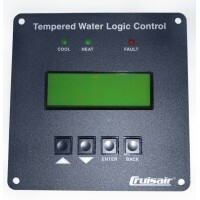 Control Keypads for MARINE AIR / DOMETIC direct expansion and chilled water / marine chiller units. Bezel Included. Please contact us below (chat) with any questions you may have. 90-day warranty*. This model only works with 8 pin cable. 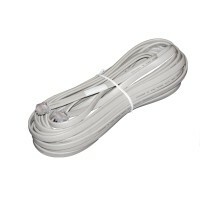 (Click Here to Buy Cable)Part Number: 222000245 Save $47.00 with Code "20ac" + Free US Shipping! 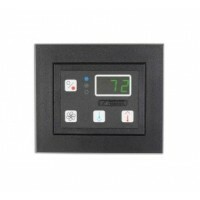 Control Keypads for MARINE AIR / DOMETIC direct expansion and chilled water / marine chiller units. Bezel is included. Please contact us below (chat) with any questions you may have. This model only works with 8 pin cable. 90-day warranty*.Part Number: 222000246 Save $47.00 with Code "20ac" + Free US Shipping! Compact Digital Display/Control. Features a bright green LED display and large buttons. For use with EnviroCool/EnviroComfort (ECD) Units. 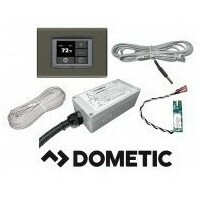 90-day warranty*.Dometic #: 222000226 Replaced by Part Number: 222000245 (Click here to view) Save $47.00 with Code "20ac" + Free US Shipping! 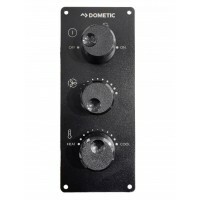 Dometic Reverse Cycle 3-Knob Mechanical Control Panel. This control panel works with old Marine Air and Cruisair units. 90-day warranty*.Part Number: 222000651 / 222000650 Save $139.00 with Code "20ac" + Free US Shipping! NEW Q3 Marine Logic Display / Control for Cruisair's Self-Contained and Split A/C (DX or direct expansion) systems. Black. Universal 115/230 volt, 50/60 Hz. 90-day warranty*. Old Part Number: 722200250 - New Part Number: 222000239 Save $42.00 with Code "20ac" + Free US Shipping! The Dometic/Cruisair Tempered Water Logic Control (TWLC) is an advanced microprocessor chiller control designed for Dometic, Cruisair and Marine Air marine circulated water systems. 90-day warranty*. More details below. Part Number: 335504 Save $137.00 with Code "20ac" + Free US Shipping! The Dometic CXP Cable works to connect the SMXHT Keypad to the Box Cable. Works for Cruisair and Marine Air models as well. 90-day warranty*.Select Cable Size. CXP5 = 5ft, CXP10 = 10ft, etc. Save UP To $35.00 with Code "20ac" + Free US Shipping! The Dometic/MarineAir 8-Pin Display Cable works to connect the SMXHT and Smart Touch Keypad to the Box Cable. 90-day warranty*.Part #'s: 331925 222103000 222103005 22210310 222103020 222103025 222103040 222103045 222103060 222103080 222103100 222103115. Save up to $29.00 with Code "20ac" + Free US Shipping! NEW Temperature Sensor, RJ11, From 5 to 80 feet. 90-day warranty*. Save Up To $23.00 with Code "20ac"+ Free US Shipping!